Has been working as an EFL and ESL teacher for about 20 years now in different institutions in Trujillo such as: UPN, UCV, Fleming College; Montemaria College and El Cultural. 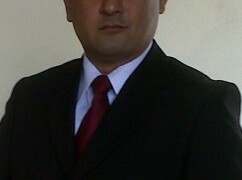 He has not only as a teacher but also as head of E-learning team at El Cultural and former Cambridge Exams Manager. He has also been a presenter in some local events where he has enjoyed the opportunity of sharing experiences with his fellow colleagues.